Amazing containers are the kind of storage I've been searching for a very long time. Something that would benefit me not only for one certain thing, but as well as for other stuff. A container that would save us money and its versatility would matter. 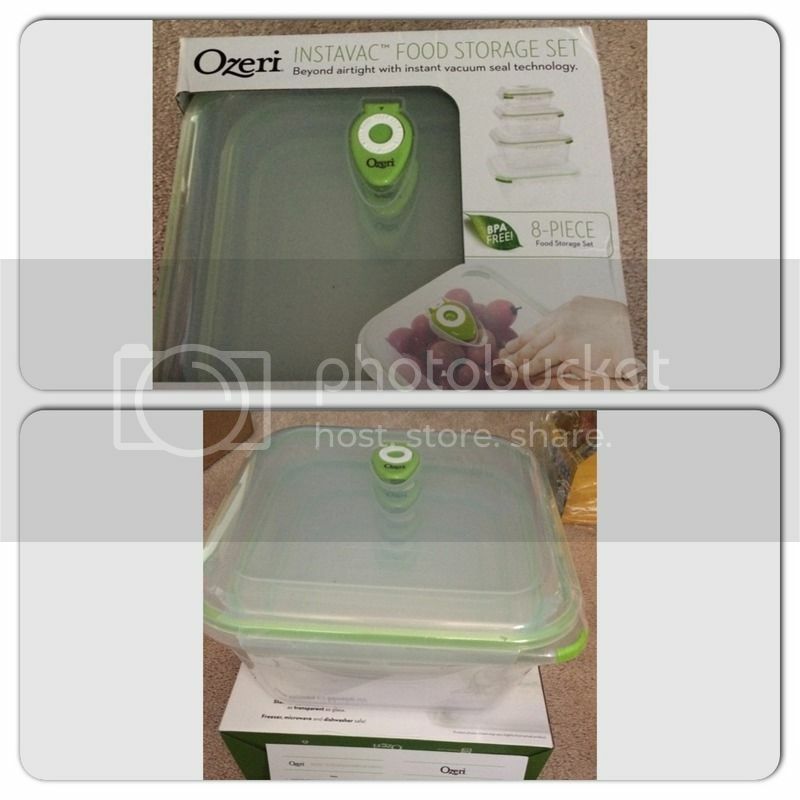 I have the opportunity to review Ozeri's INSTAVAC Green Earth Food Storage Container Set. The color green container set captures my eyes the minute I laid eyes on it. With the description is has online and how it could be the container I want to obtain, I'm lucky I say that I'll be evaluating the product today. It comes with 8 pieces, 4 lids and of course 4 containers. I love the different sizes of each container. From a small storage to the biggest one. I can stocked them without taking too much space because I can store them inside of each other. Isn't that genius, now the product doesn't take a lot of space at the same time the durability and a great high-quality of the product is very impressive. The package arrives through the UPS, I don't see any signs of damage in the product that I was able to use it right away. No hassle of returning and exchange, I'm also happy with the seller who always make sure that their products arrives safe to their buyers hand. 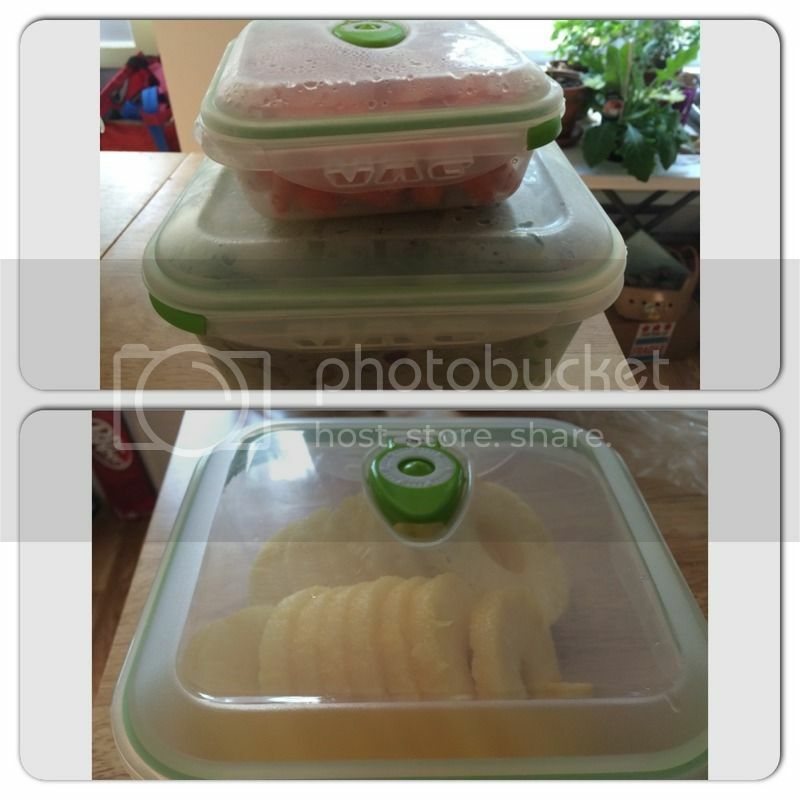 The features I love in the container sets is the vacuum seal it has. All you have to do is to gently press the lid where the air flows. Pull the one-way valve up. That's when you know that vacuum indicator pops up indicating the vacuum as been released, making it easy to remove the lid. Love the quality, sturdy plastic and safe for the dishwasher. Interested? You can purchase the product HERE. I have this set and I just love it. The vacuum feature really keeps the food fresh for a longer time. I love these containers. I have a set too and use it all the time. These are very handy for use in the home and they appear to be of good quality. Wow! vacuum seal. your foods is well taken of.. Ganda magkaroon nyan.